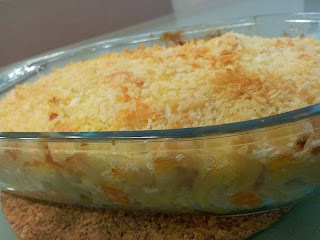 I have always loved Mac & Cheese since I was a kid when my mum made for me. I especially love the crispy parts of cheese in the corners as I would always scraped them to eat. 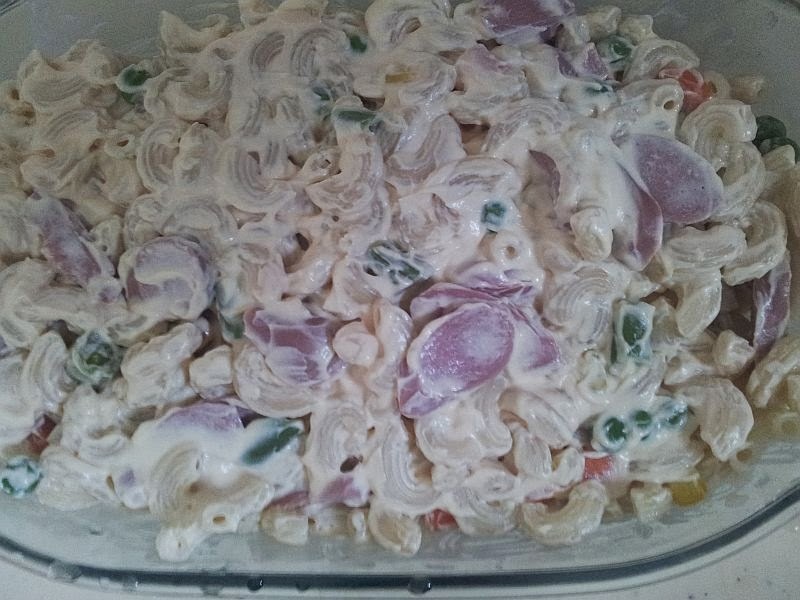 Here's my healthy and easy version of Mac and Cheese! 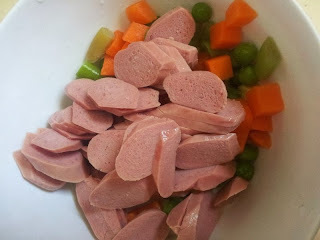 I added sausages and mixed veggies in just to ensure they have a 'balanced' diet. 1) I boiled the macaroni, sausages and mixed veggies in boiling water. 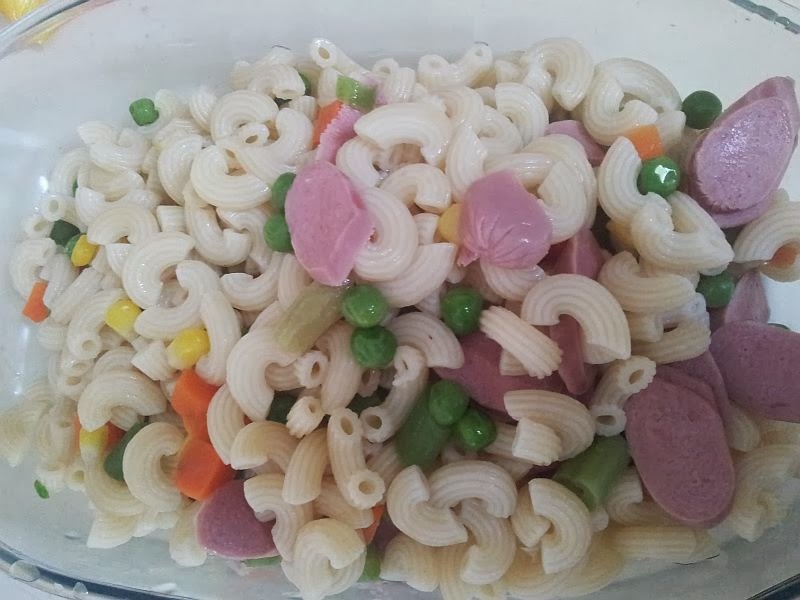 Drain them, Mix together in a baking plate. I opt for boiling as it is the healthier version without any oil. 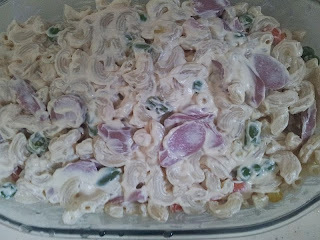 2) Then you open the cream and pour into it to mix it up! 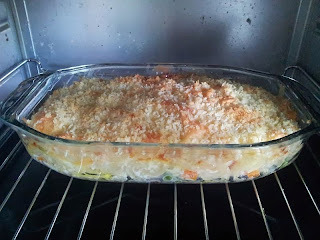 4) Then top with shredded cheese and finally, breadcrumbs. 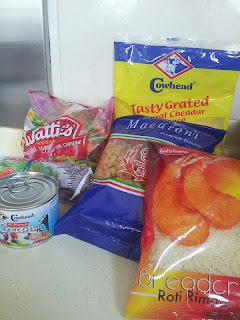 I love adding breadcrumbs to it as it gives a nice crunch when you eat! 5) Then put into the oven for baking in 180 degrees celcius for about 20 mins or until the cheese and breadcrumbs turns golden brown.